With the Spanish housing market in shambles, many foreigners are now looking to buy property in Spain, whether for a vacation bungalow or a retirement home. While a house on the Costa del Sol may seem like a slice of heaven, there are some things you should be aware of before you buy. Read on to learn how to avoid the many pitfalls to buying property in Spain. As a foreigner looking to purchase property, you will need a residence permit and also an account in a Spanish bank from which to pay your utilities. You can choose any bank in Spain, but if the language barrier is going to be a problem, make sure you choose a bank with at least one person on staff who can speak English. You may also be able to ask your bank to print your statements in English. Unfortunately, the real estate market in Spain is poorly regulated and any individual can call themselves an “agent.” You should choose an agent that has a long-established reputation and specializes in assisting foreigners. You should also never purchase property abroad without the assistance of a lawyer who is not affiliated with your agent. An independent lawyer will make sure to represent your interests and also help you navigate the process so you don’t end up getting screwed over. With the economic downturn, many builders abandoned their projects and left many buildings unfinished, leading to cheap prices. If you want to save money and buy one of these, be aware that it may be difficult in this economic climate to find a reputable construction company that will take on the project. If you manage to find a builder, make sure the company has a sound reputation and has all of the necessary permits and qualifications. Once you pay a deposit, you have committed to the purchase. If you change your mind down the road, you will still have to pay ten percent of the asking price. Consider carefully whether this is the home for you before you hand over the deposit. Even though the potential for cheap property is currently drawing many foreign buyers to Spain, it’s important to be informed. Do your homework and make sure the people you are working with are reputable. Make sure you know the market so you can make sure you are getting the best mortgage rates and are not getting swindled. 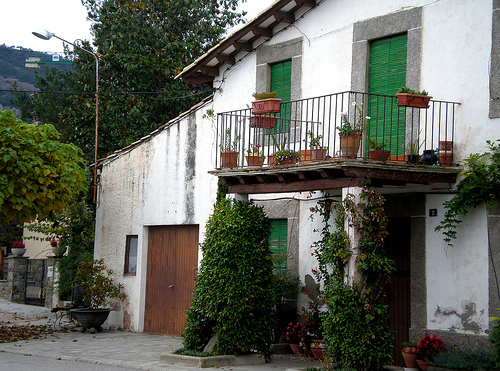 With a little luck, you can have your dream house in sunny Spain at a fraction of the cost. Robin Jones is an international property expert. He lives with his wife and three sons in Granada, southern Spain.